Spark secured well-known German musician and entertainer for a truly unique music project on behalf of Mercedes Benz. Mercedes Benz’ agency Scholz & Friends in Berlin briefed Spark to find a suitable and credible musician to write 10 songs for an exclusive album dedicated to ‘Macher’, which translates as ‘doers’. Those ‘Machers’ are the heroes of everyday life that keep everything going: from bakers, mechanics, roofers and builders to decorators, delivery men and women, plumbers and many others. They are also the natural target group for buying Mercedes Benz vans such as the Vito or Sprinter. Spark recommended and negotiated a deal with musician and entertainment legend Mike Krüger. Before landing his big break in 1975 as a musician, Mike was a skilled builder specializing in concrete, working in and around Hamburg. 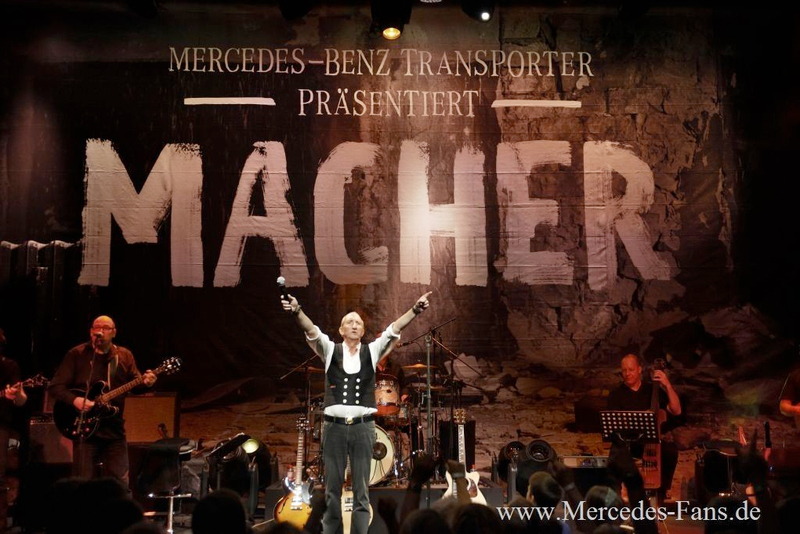 That experience formed the basis for the songs he wrote for the winners of the competition on www.macher-album.de. To enter the competition participants needed to convince others why they are a ‘Macher’ by submitting a short description of their work and a photograph. The other prerequisite was to work for or own a company with less than 99 employees. Users of the site could vote for their favourites. The winner of the competition received a Mercedes Benz van and an exclusive song written by Mike, including a professionally shot music video. For the 7 runners-up Mike also wrote an exclusive song about each of their companies. It’s easy to imagine how exciting it is if a well-known musician writes an exclusive song about your very own small business and the PR that it can generate. All 9 tracks were made available as a give-away CD and download album. The songs on the album are mid- to up-tempo, with a country, folk and bluegrass sound, and of course they provide the perfect soundtrack for driving a car or van. Mike also took to the road and played with his band at six German Mercedes Benz dealerships, to which up to 3,000 people for each event were invited. Besides the ‘Macher’ songs Mike played a selection of his many chart topping hits and entertained the crowd with his songs. Mercedes-Benz used the opportunity to demonstrate their latest trucks.